Pandora has won a lawsuit against Biagi Jewelry for infringing on its patent for interchangeable spacer beads on its necklaces and charm bracelets. A U.S. federal judge will rule on monetary damages against Biagi Jewelry in August after finding the Italian company infringed on a Pandora Jewelry design patent. In 2006, Pandora filed a lawsuit against Cappola Capital Corp., which does business as Biagi Jewelry in Florida, saying it infringed on U.S. patent number 7,007,507. U.S. District Court Judge Susan Bucklew agreed three types of jewellery manufactured by Biagi infringed on Pandora’s patent. The motion, however, denied Pandora’s claim that its provisional rights were violated. Issued in March 2006, the patent is for keepers, which are interchangeable spacer beads that prevent baubles, bangles, and beads strung on a necklace or bracelet from bunching up on a strand. 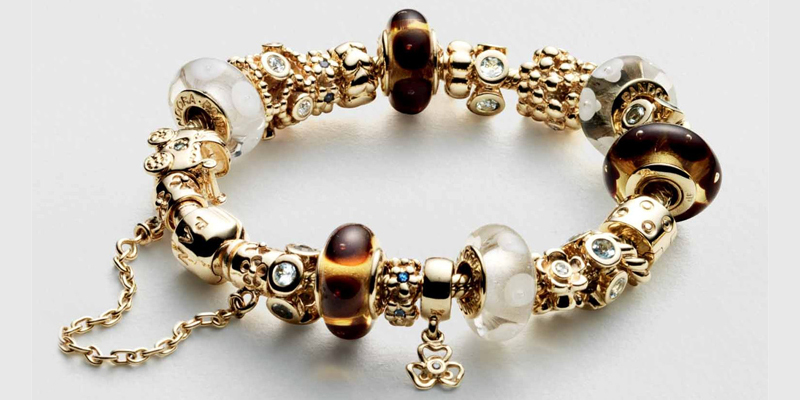 Court papers say Pandora requested Cappola stop making and selling their jewellery while the Danish company’s patent was pending in August 2004. John White, general manager of Pandora’s North American division, said the company was pleased with the decision and would continue defending its patent. “The court system has set an important precedent in protecting Pandora’s patented jewellery system against Biagi, or any other would-be infringers,” he said. Jody Christian, Pandora’s art and marketing director, said the company has an international copyright on all its bead and charm designs, as well as a trademark on its logo.